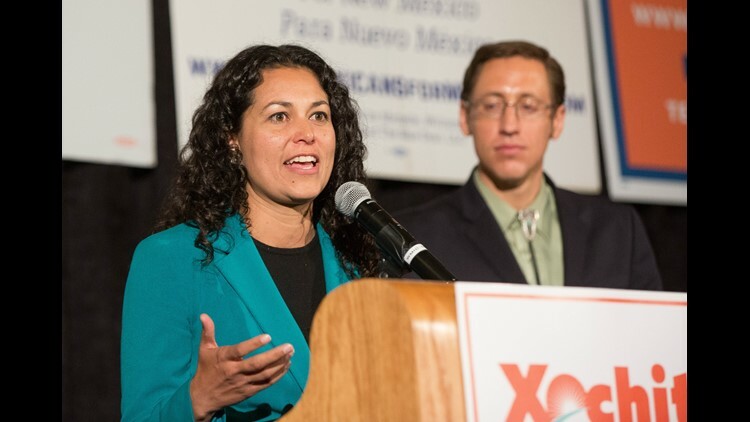 Xochitl Torres Small, Democratic candidate for the 2nd Congressional District seat, speaks to supporters in Las Cruces, while awaiting the full election results on Tuesday, Nov. 6, 2018. LAS CRUCES - Xochitl Torres Small spoke to her supporters late on Election Day — after it seemed she had lost in her bid to win the 2nd Congressional District — and her message was clear: "Wait." Wait they did, for more than 18 hours. And after thousands of absentee ballots in Doña Ana County were tallied, Torres Small, the 33-year-old water lawyer from Las Cruces running for public office for the first time, has earned a seat in U.S. Congress. The New Mexico Secretary of State's Office reports Torres Small leads Republican Yvette Herrell by 2,724 votes, or 50.7 percent of the vote. Herrell, a state Representative from Alamogordo, claimed victory Tuesday night, holding a 1,970-vote lead over her opponent. But more than 8,000 ballots from Doña Ana County, and a few more from Cibola County, had yet to be counted. 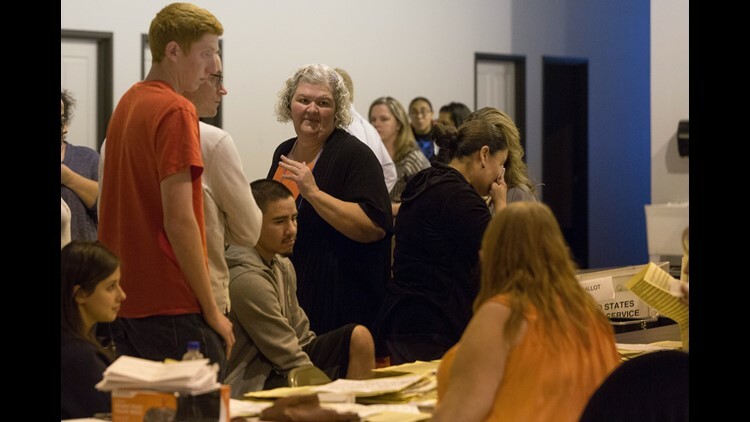 Doña Ana County Clerk Amanda López Askin told reporters on Wednesday that poll workers had counted nearly half the absentee ballots by the end of Tuesday night, but were exhibiting signs of fatigue as well as swollen hands. At that point, to ensure accuracy, the remaining ballots were secured for the night so work could resume Wednesday morning. The county clerk explained that a preliminary tally of the absentee ballots was not possible Tuesday night because they all must be tabulated and reported as a batch, similar to a polling location. Karen Hernandez, center, the presiding judge at the Doña Ana County Bureau of elections Warehouse, giving instruction to poll workers while they count overseas ballots Wednesday November 7, 2018. The tallying of the ballots began shortly after 10 a.m. Wednesday and results were released about 6:30 p.m. The results remain unofficial until canvassing is completed and the election is certified. Torres Small was the choice on 6,411 of the 8,250 absentee ballots, while Herrell captured 1,847 of the votes. The secretary of state's office reports approximately 100 ballots remain to be hand-tallied along with approximately 1,000 provisional ballots. Torres Small becomes the first woman to win the seat, and only the second Democrat. She replaces Republican Steve Pearce, who vacated the seat to run unsuccessfully for governor. Herrell, 54, a Cherokee Nation member, was seeking to join two other women, both Democrats, as the first Native American women elected to the U.S. House. In a statement issued Wednesday morning, Rob Burgess, a senior adviser to Herrell’s campaign, said the state lawmaker felt she had already won the race. “We know that an open and honest process in Doña Ana County will confirm the outcome of this election,” Burgess said. As of 8 p.m. Wednesday, Herrell's campaign had yet to issue a statement.